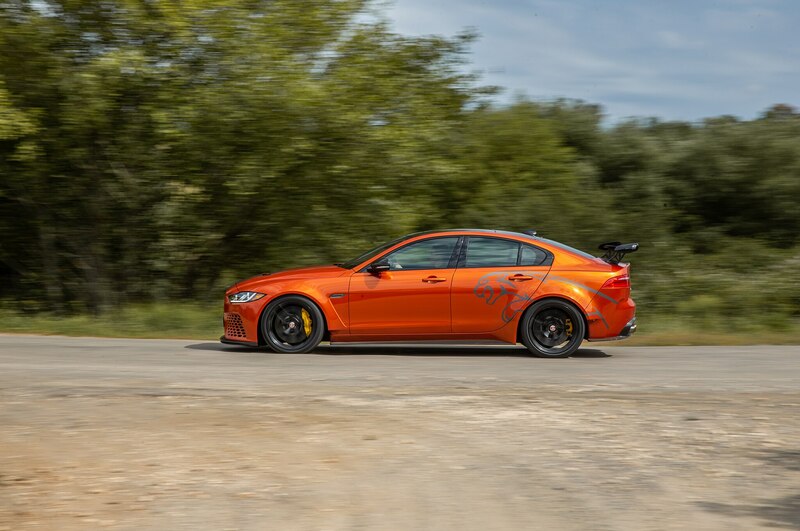 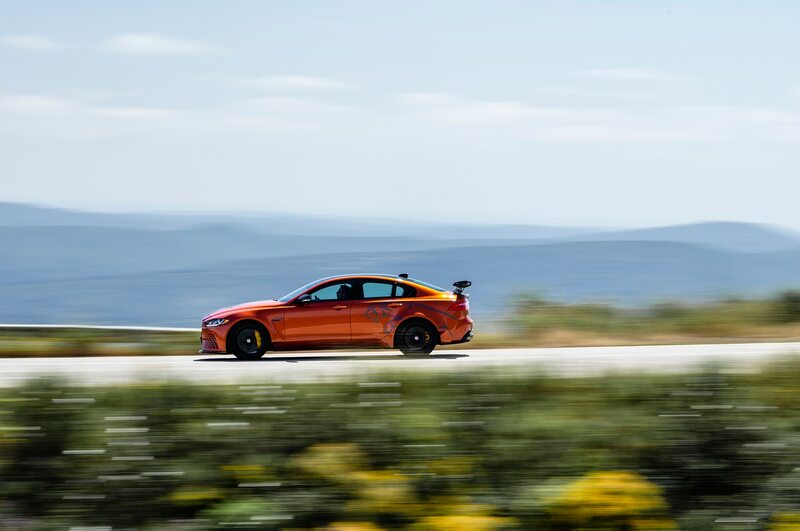 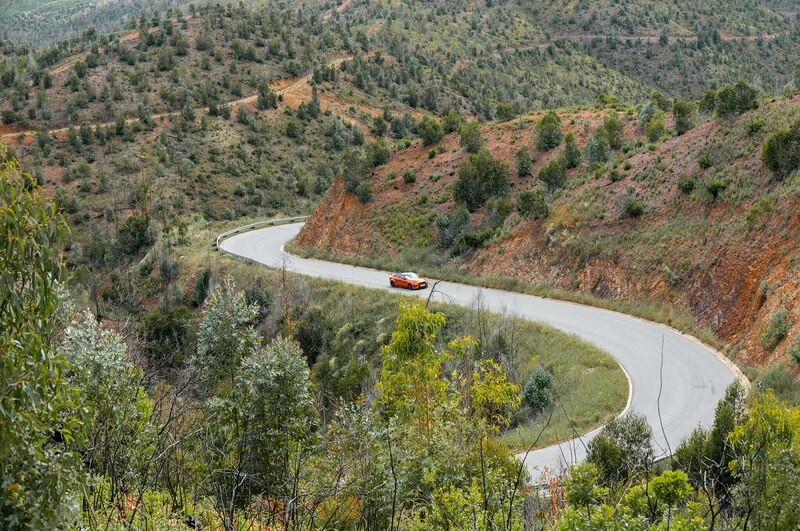 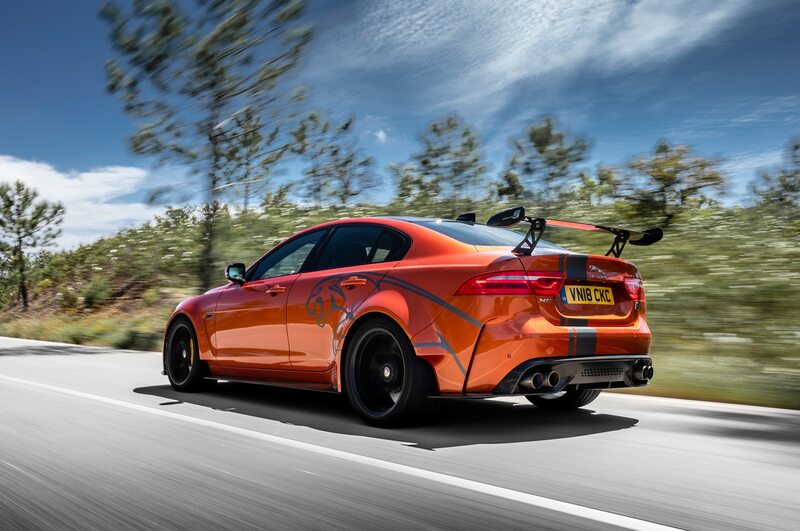 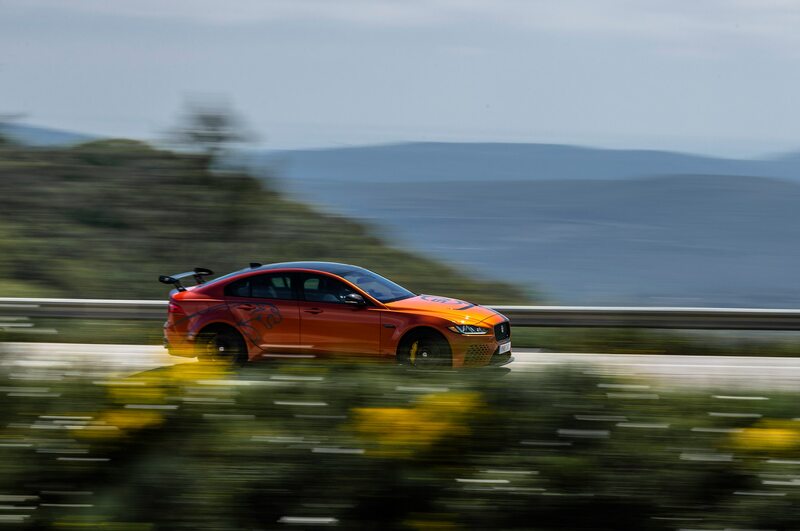 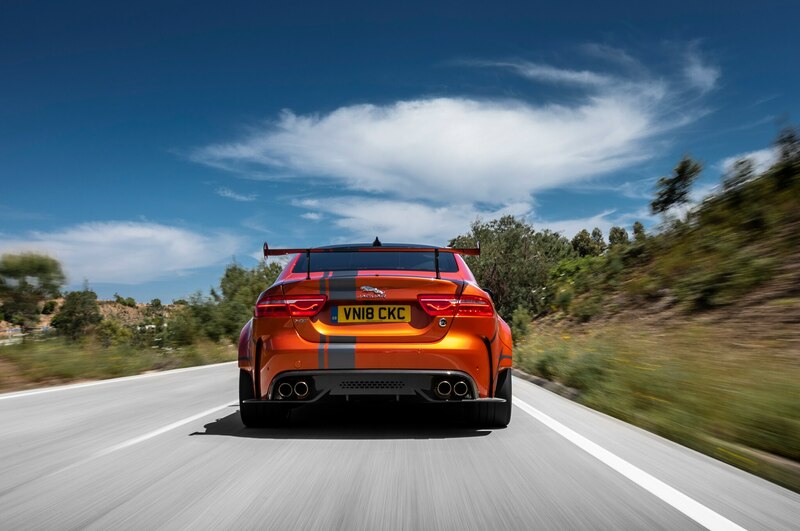 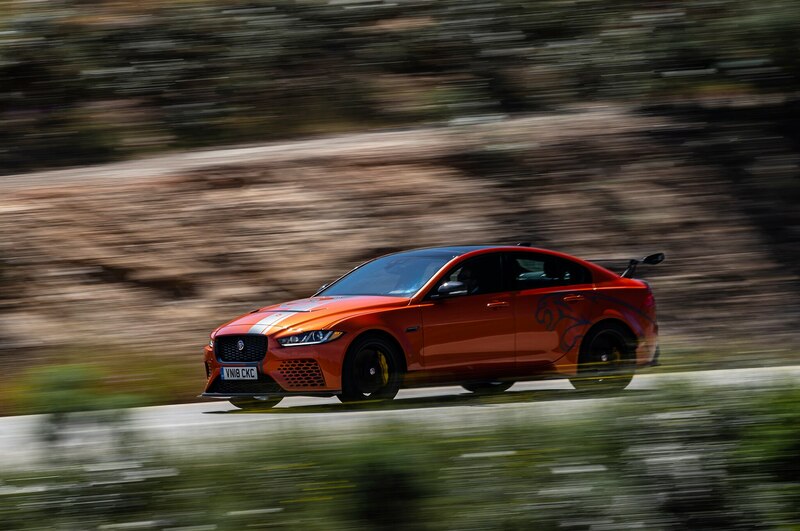 From the beginning, Jaguar’s goal for the XE SV Project 8 was to conquer the Nurburgring. 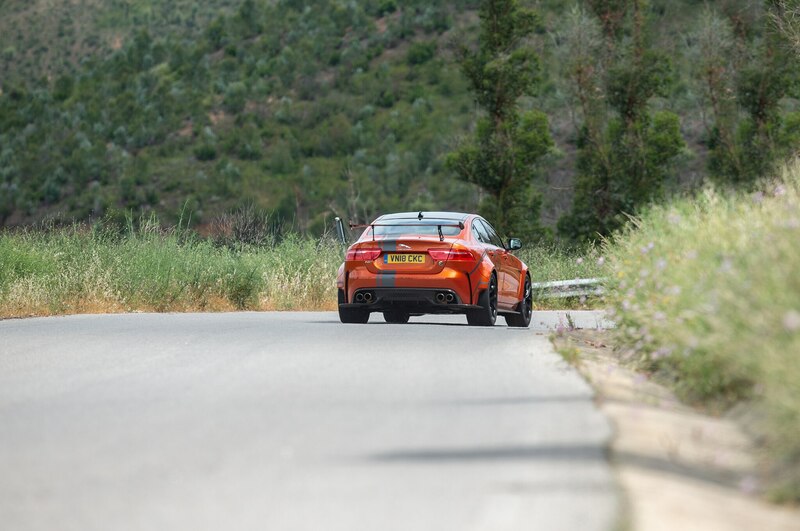 Specifically, it wanted the lap the Green Hell quicker than any sedan had done before. 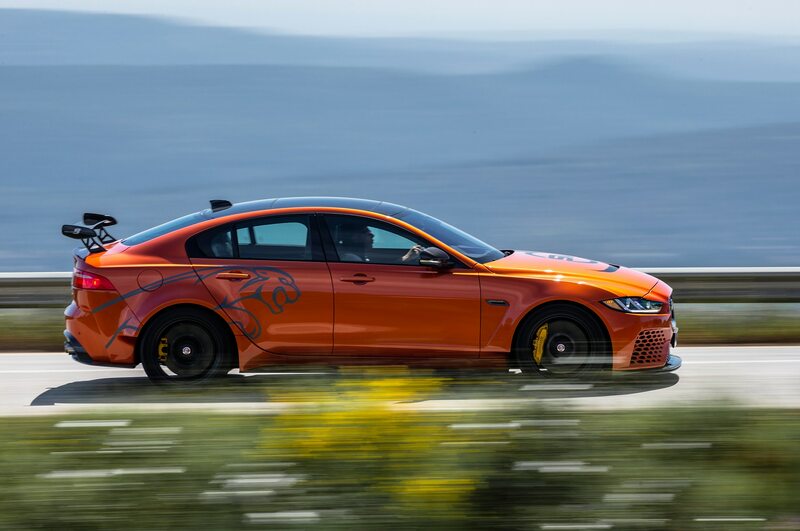 Last fall, Jaguar accomplished that mission, beating the Alfa Romeo Giulia Quadrifoglio‘s record by more than 11 seconds. 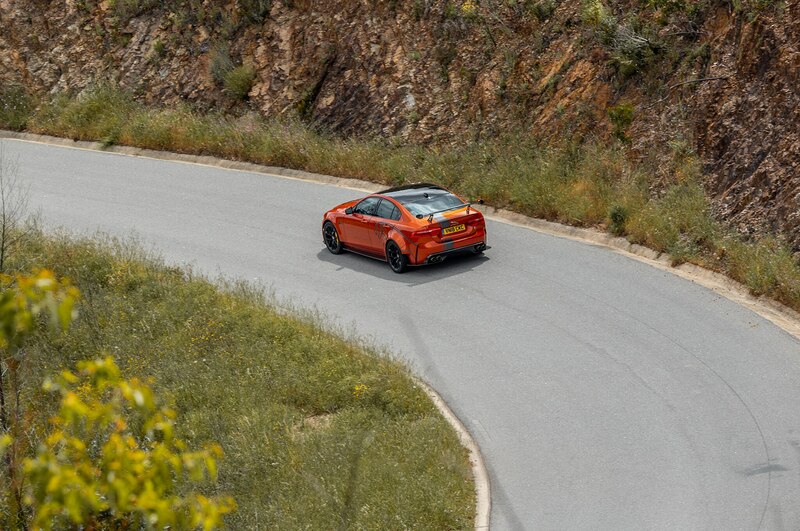 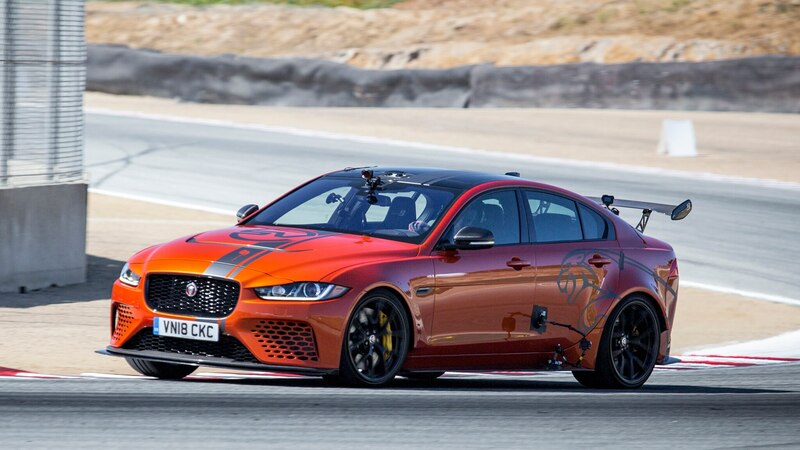 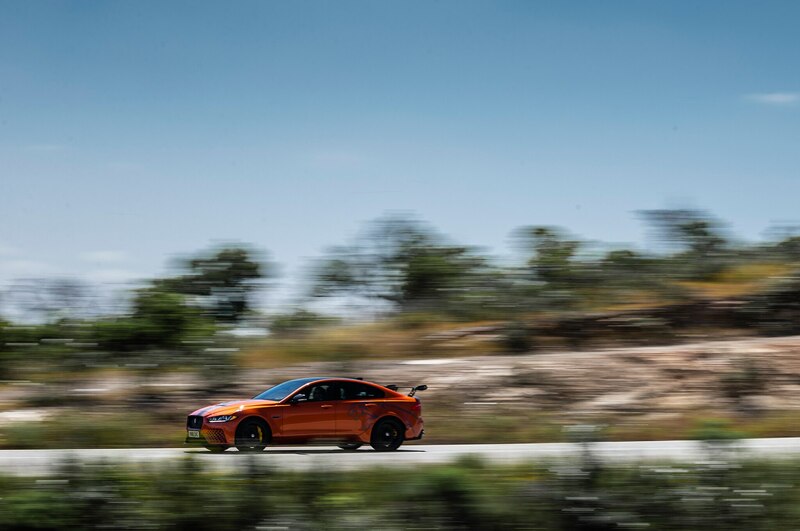 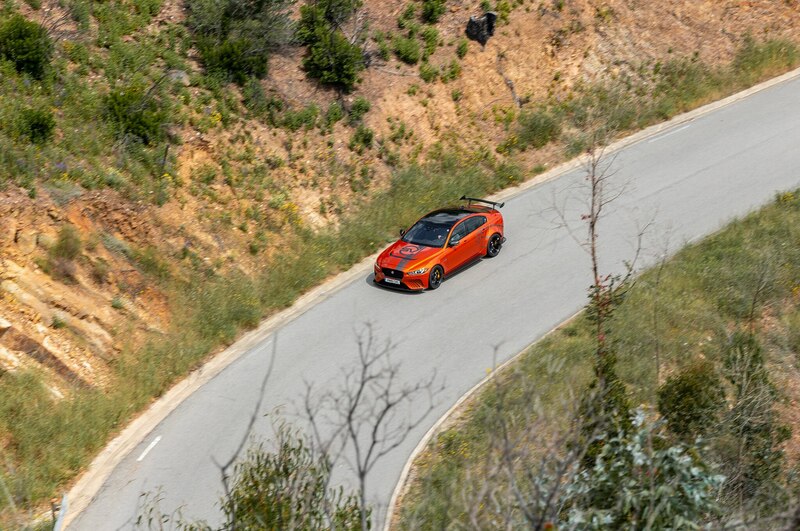 Nearly a year later, the Project 8 set another lap record, this time at Laguna Seca. 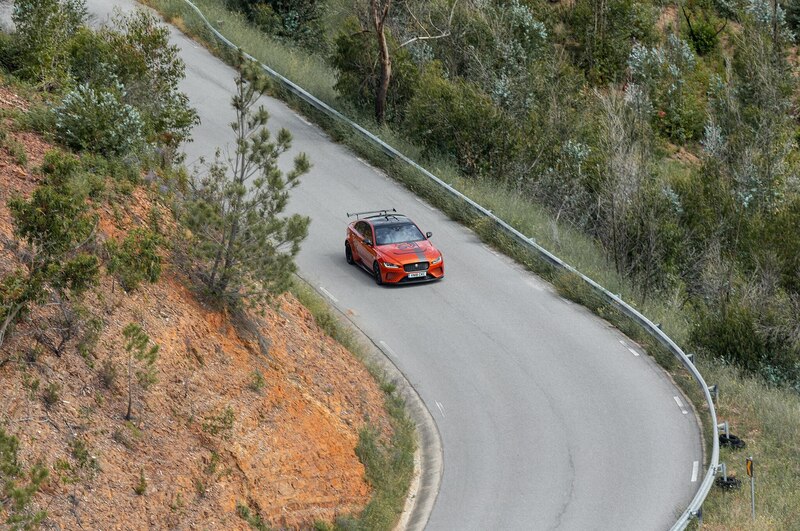 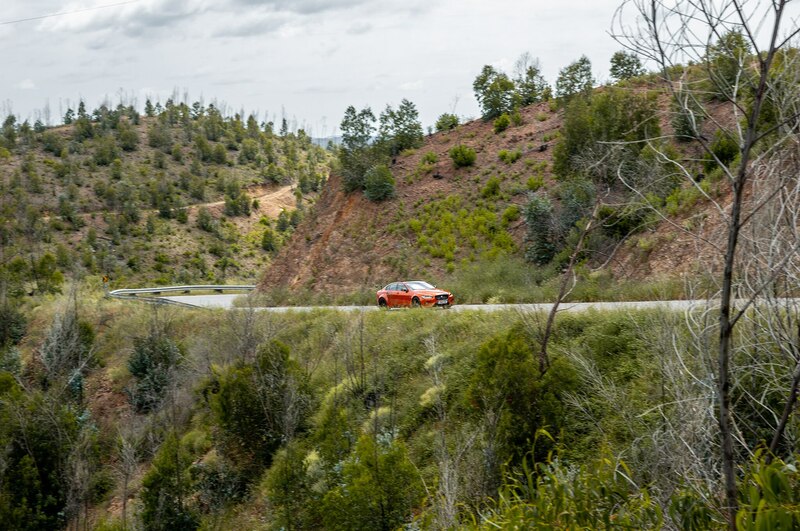 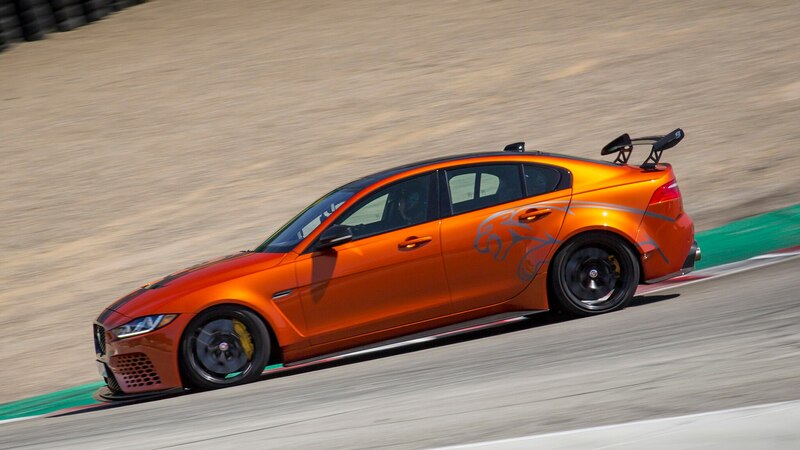 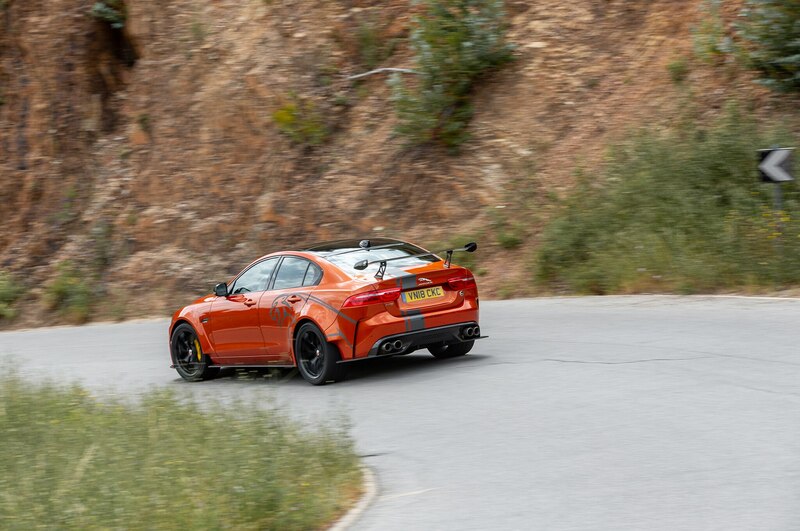 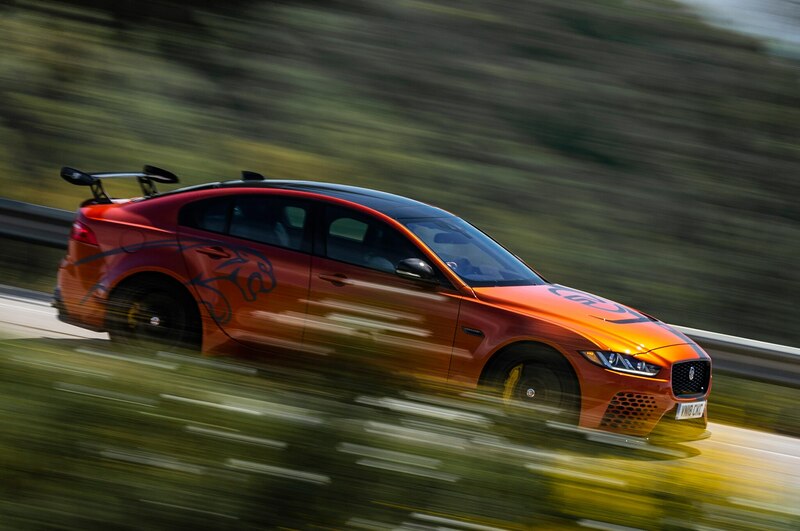 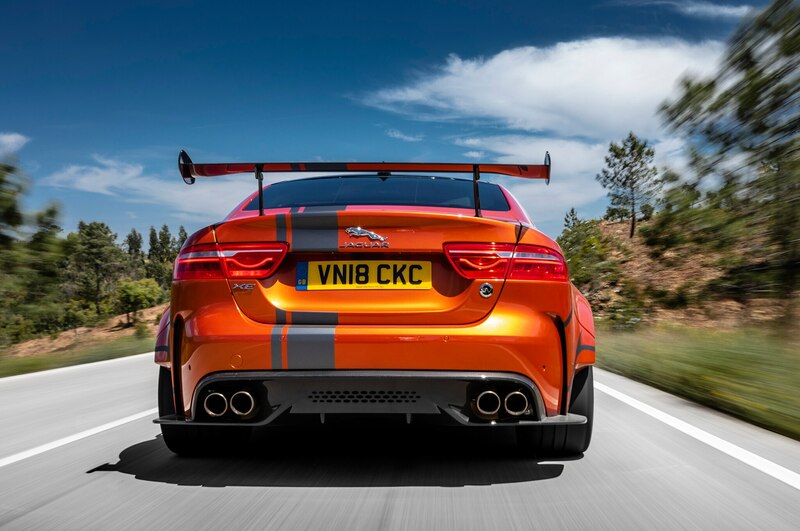 Jaguar announced that the Project 8 lapped the legendary California race track in 1:37.54. 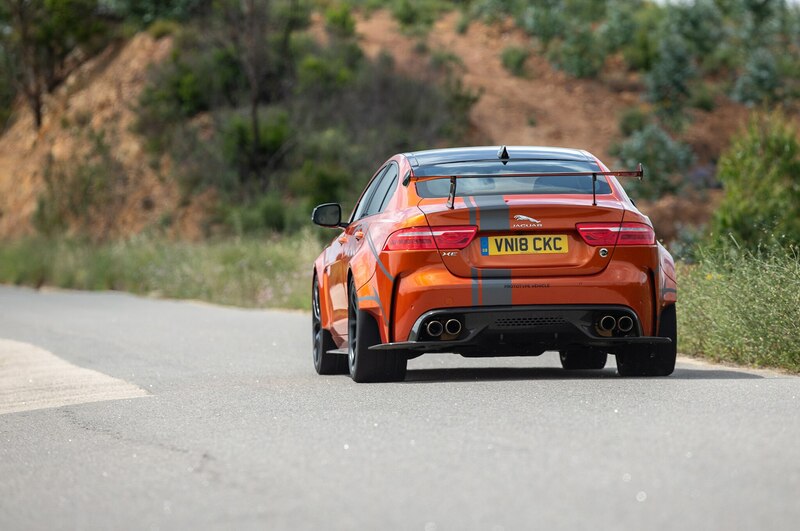 That makes it almost a second quicker than the Cadillac CTS-V and two seconds quicker than the Giulia Quadrifoglio. 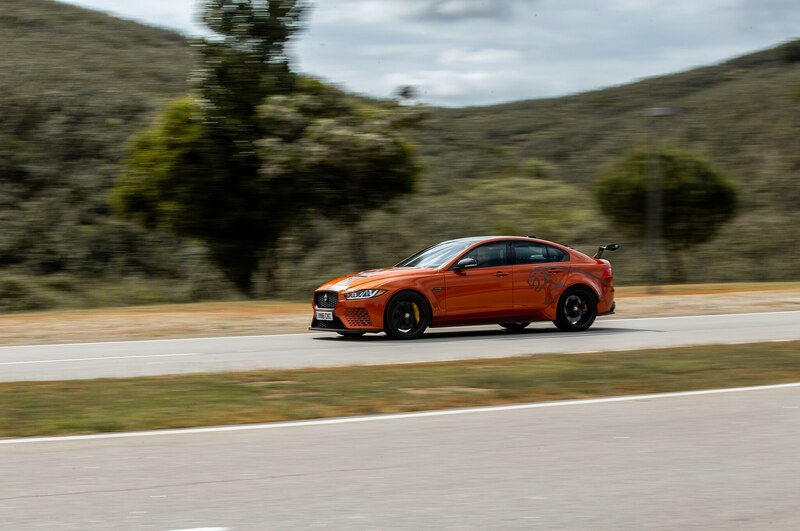 And who was behind the wheel? 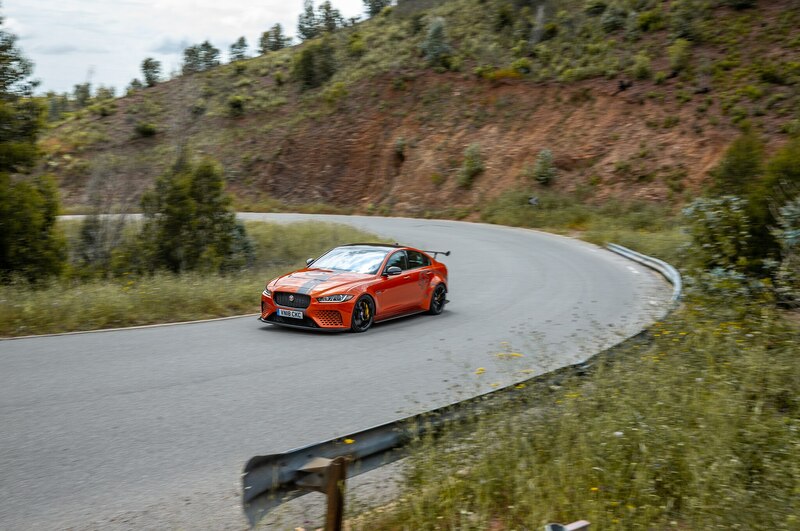 None other than Motor Trend‘s own Randy Pobst. 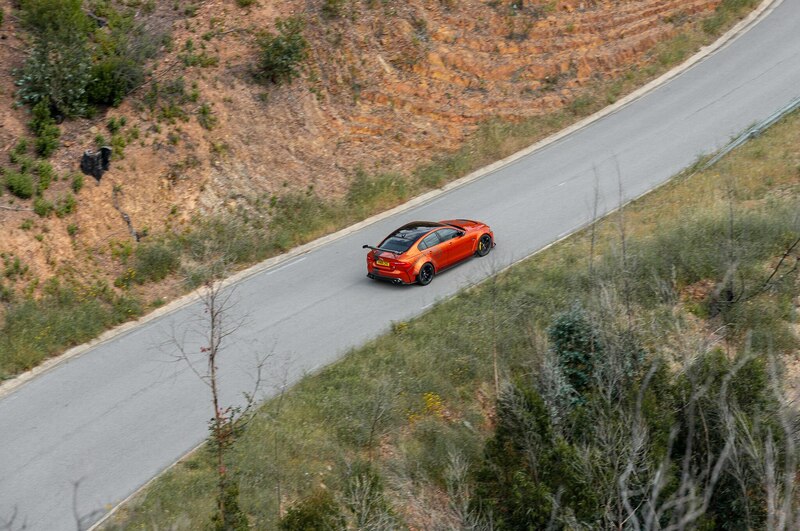 You’re the man, Randy! 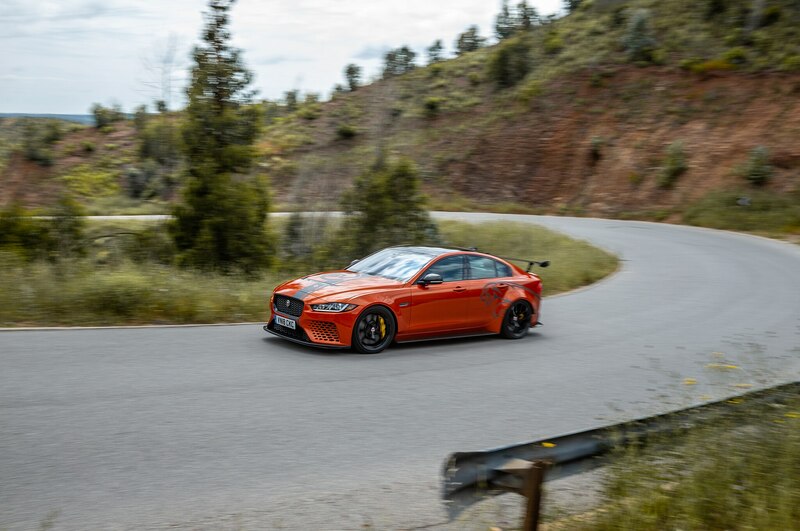 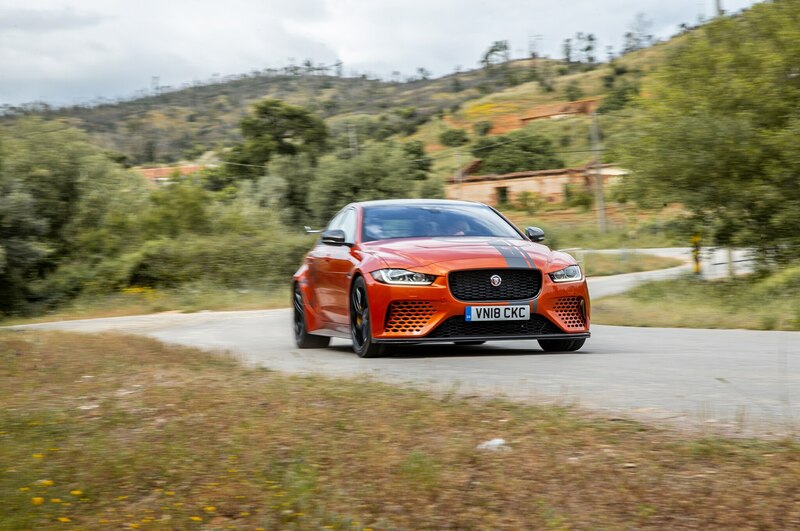 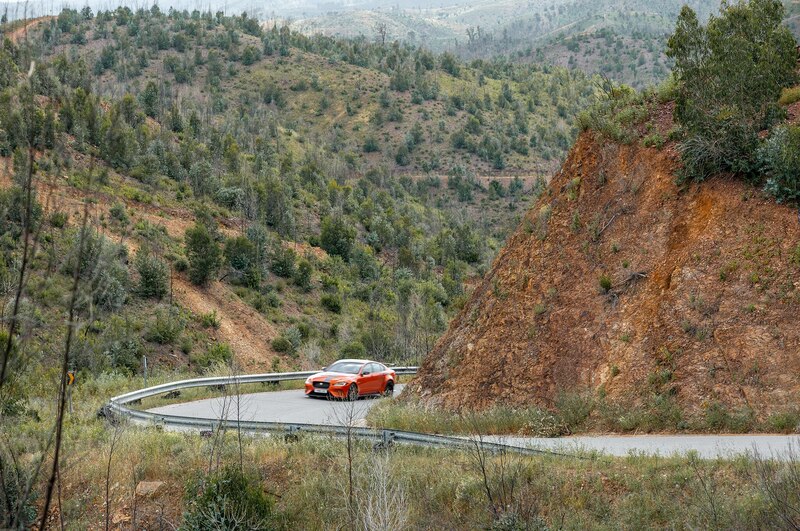 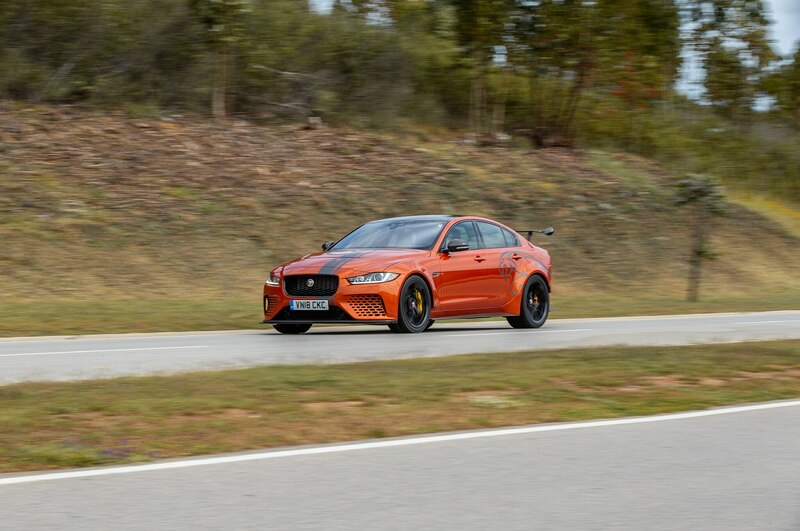 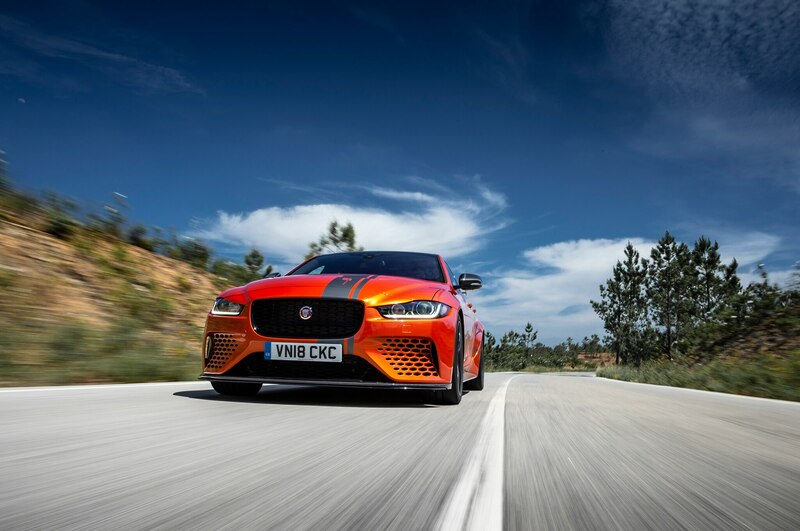 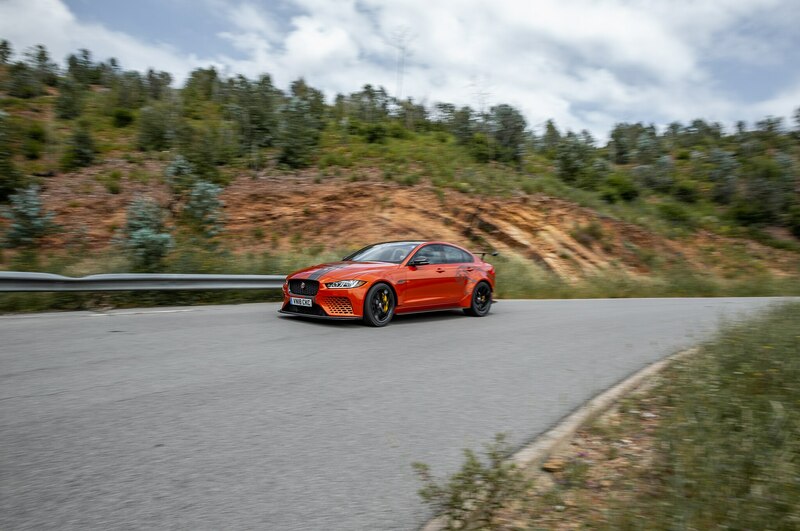 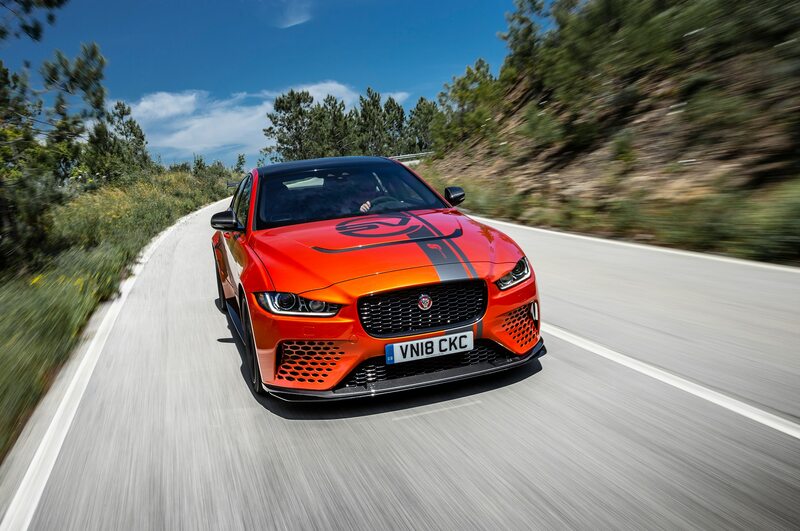 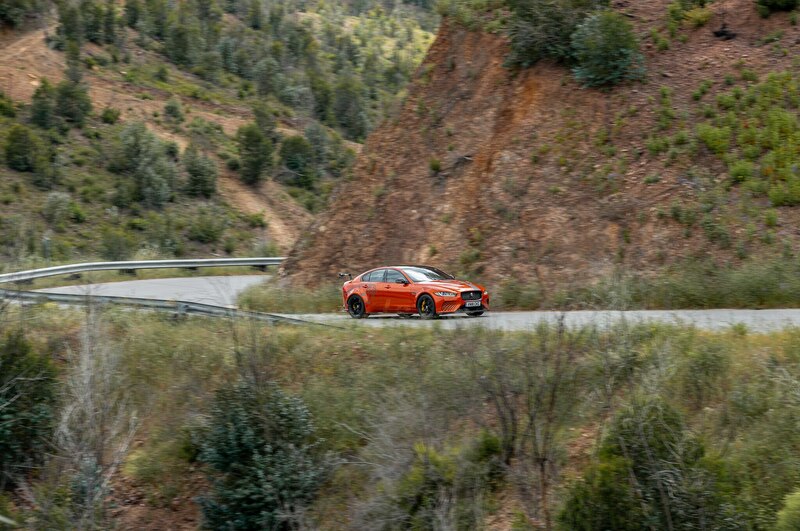 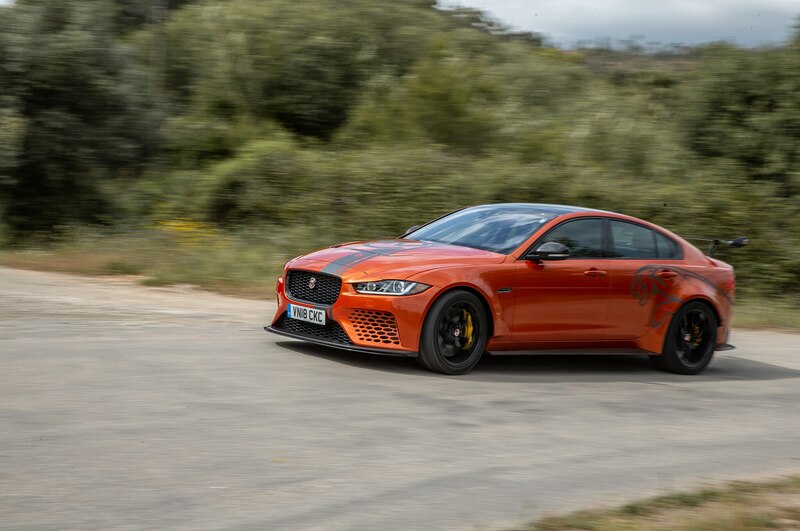 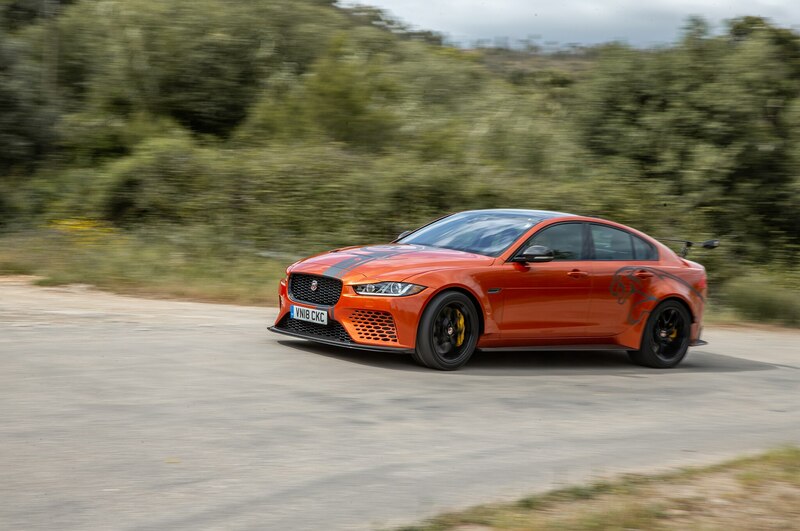 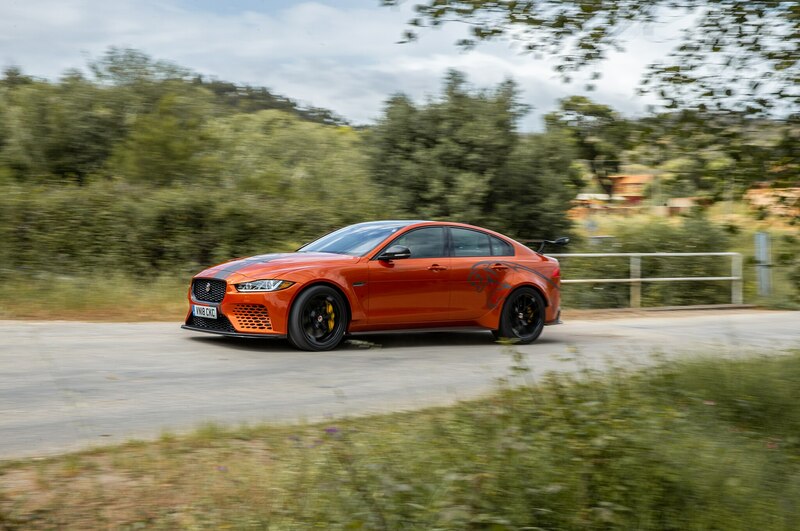 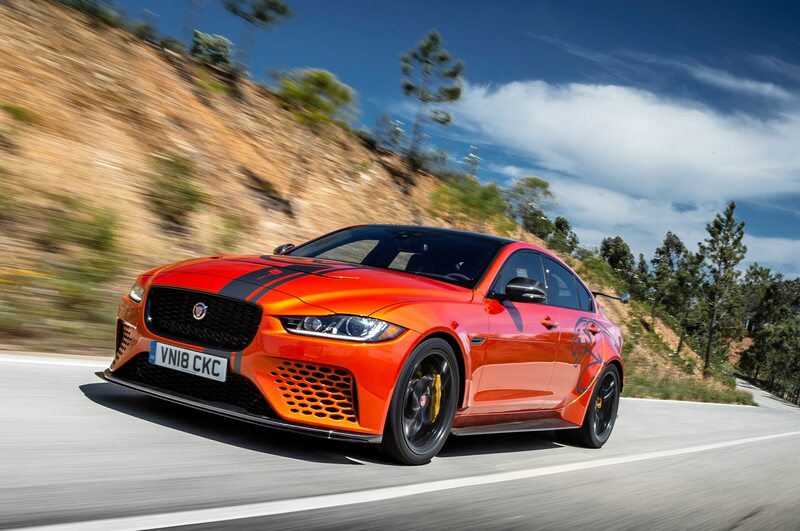 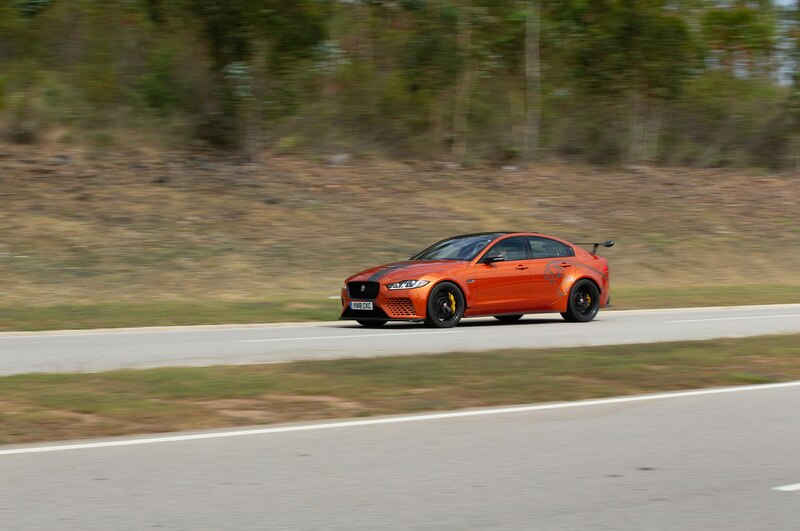 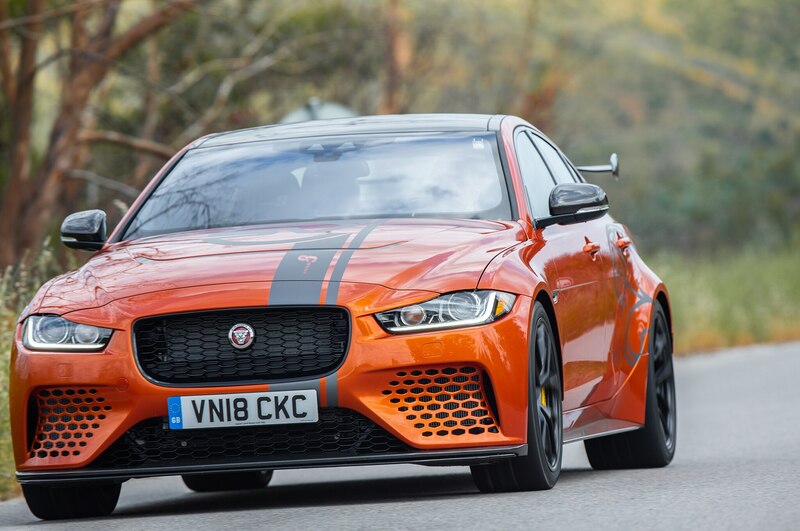 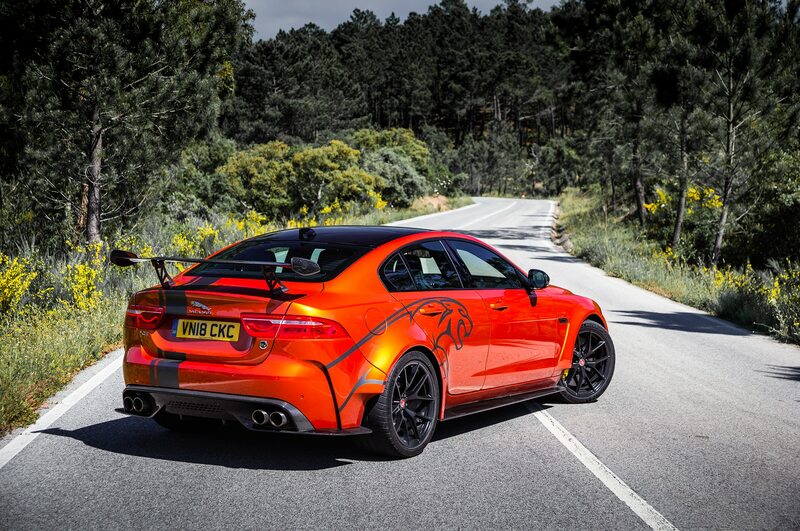 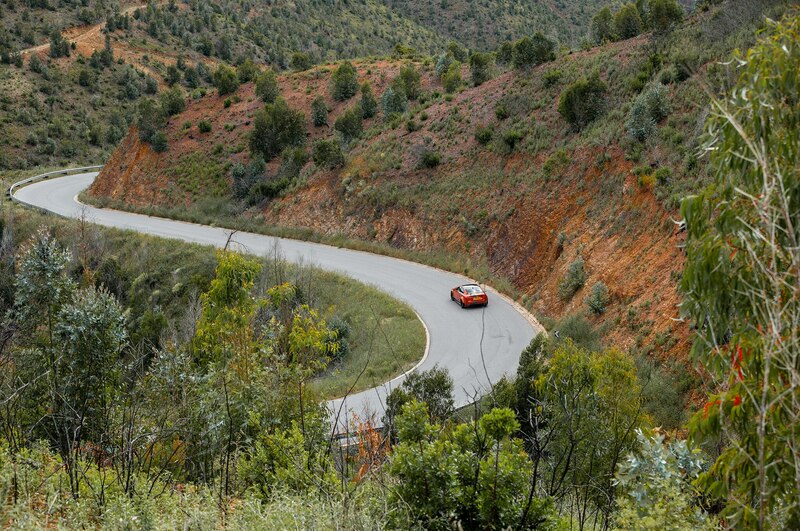 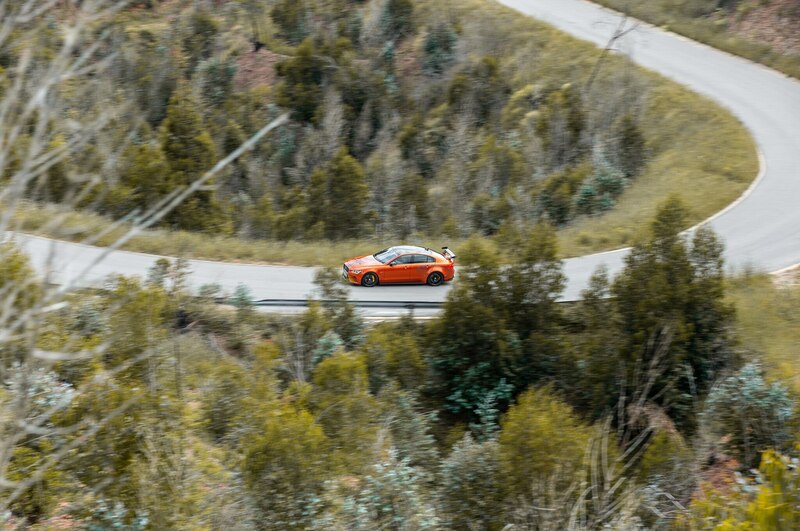 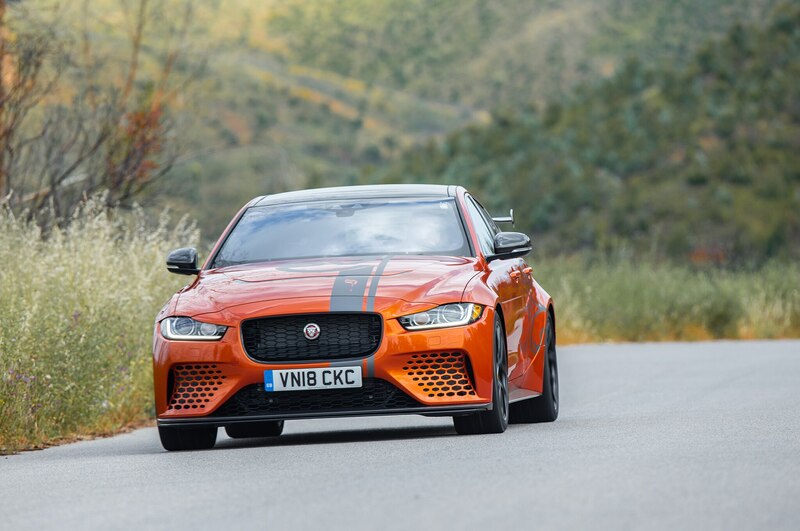 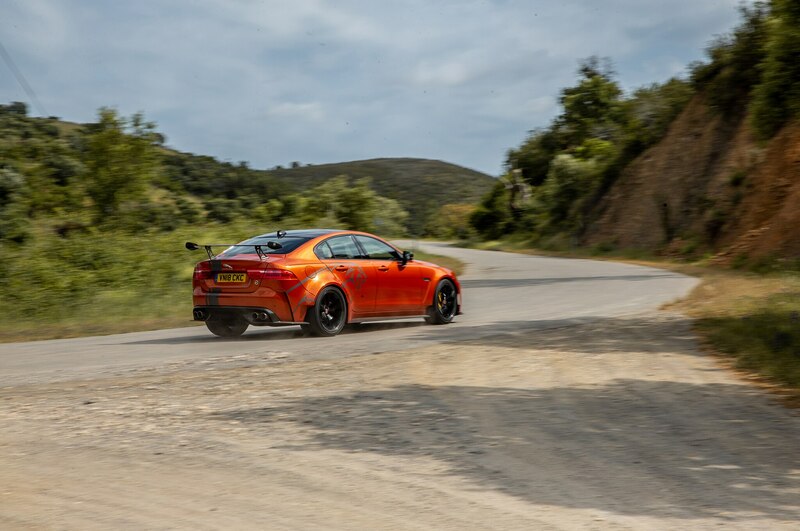 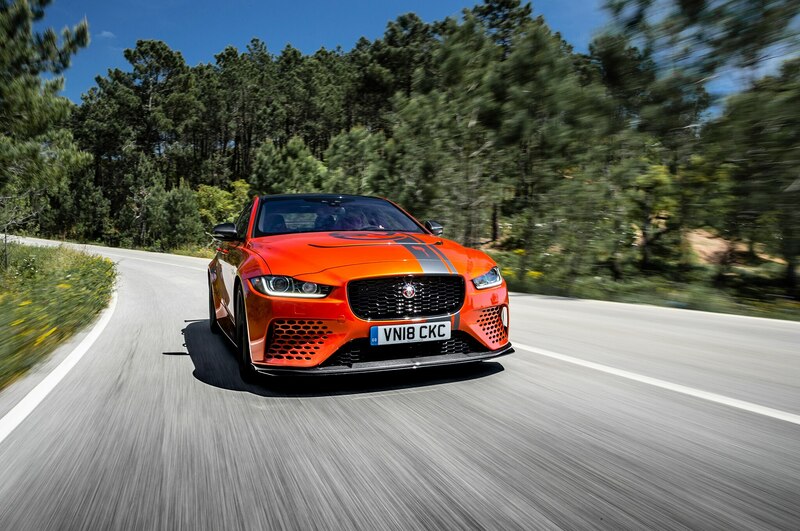 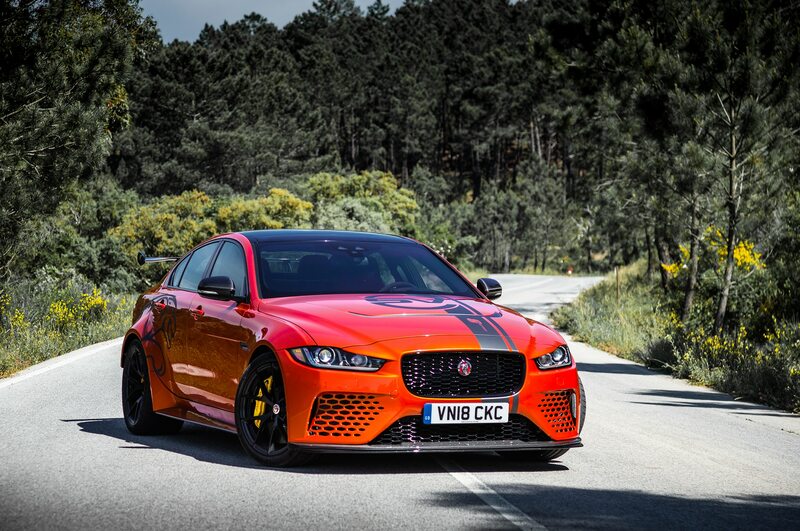 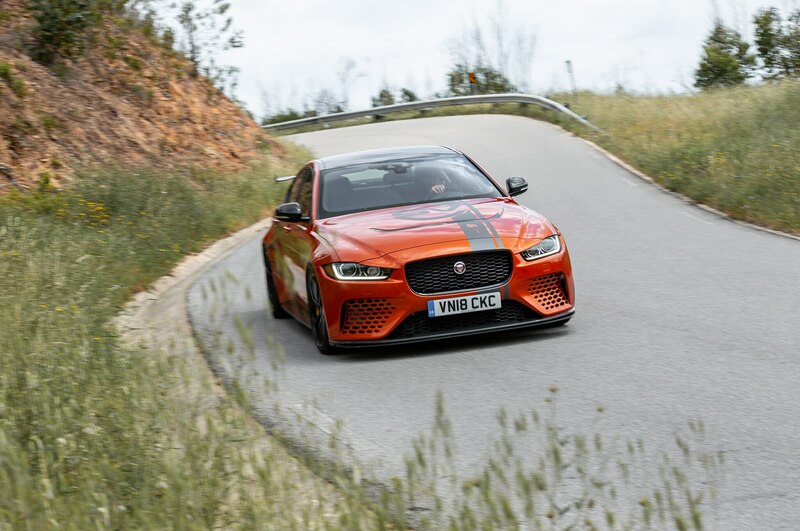 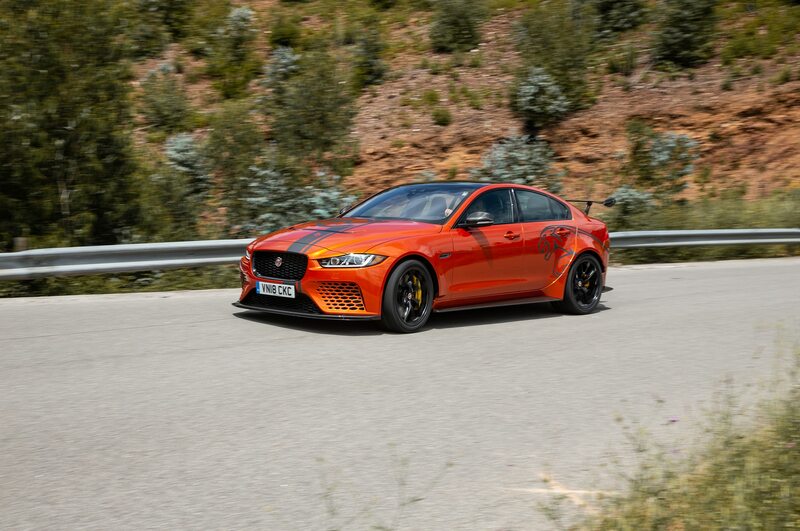 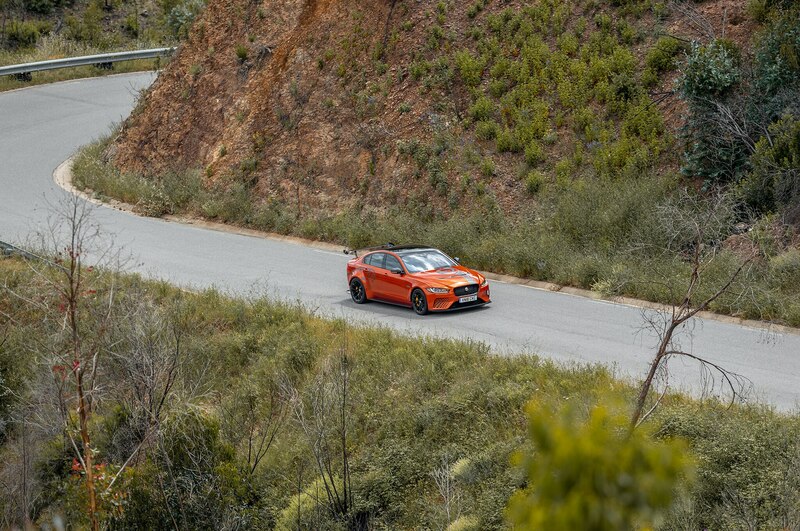 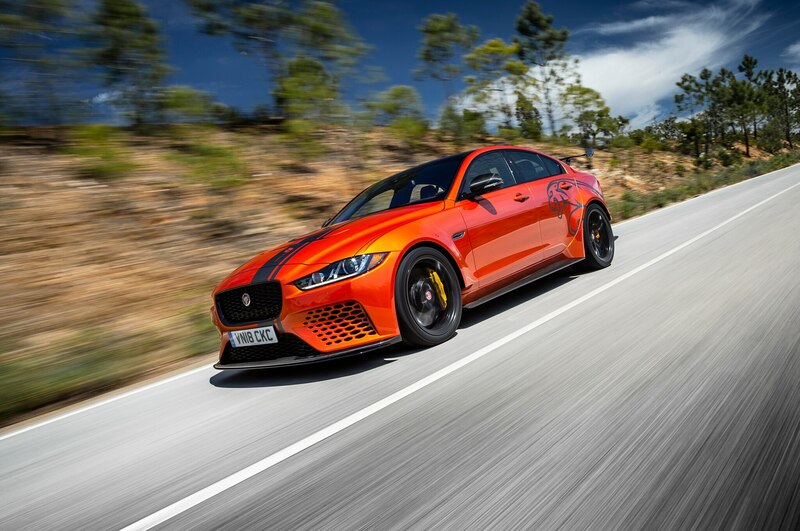 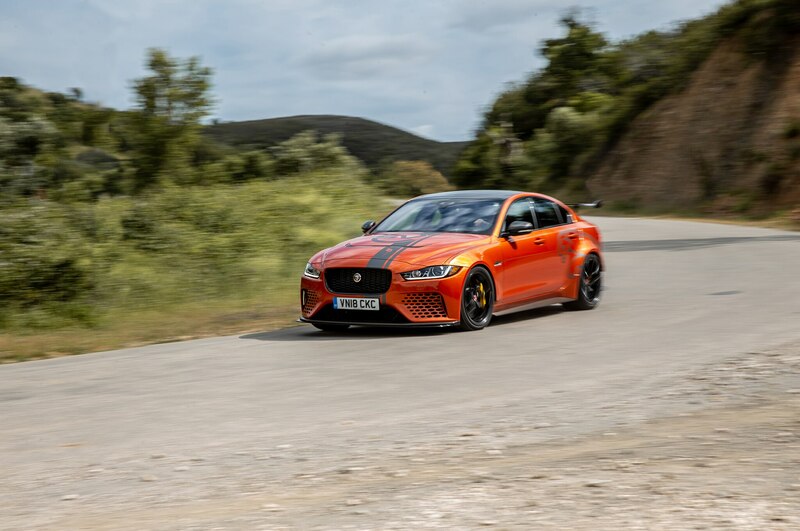 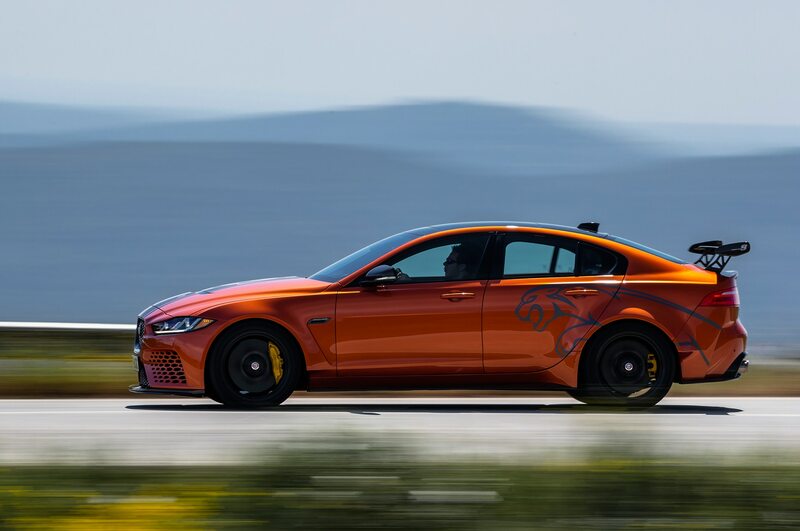 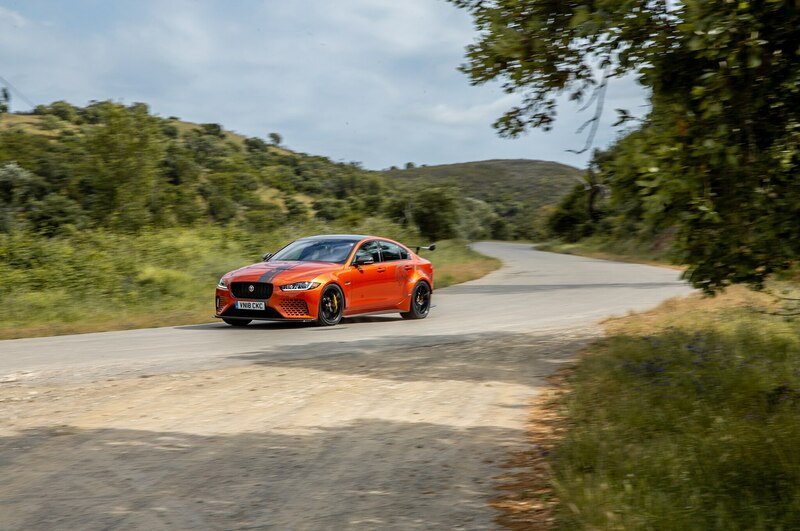 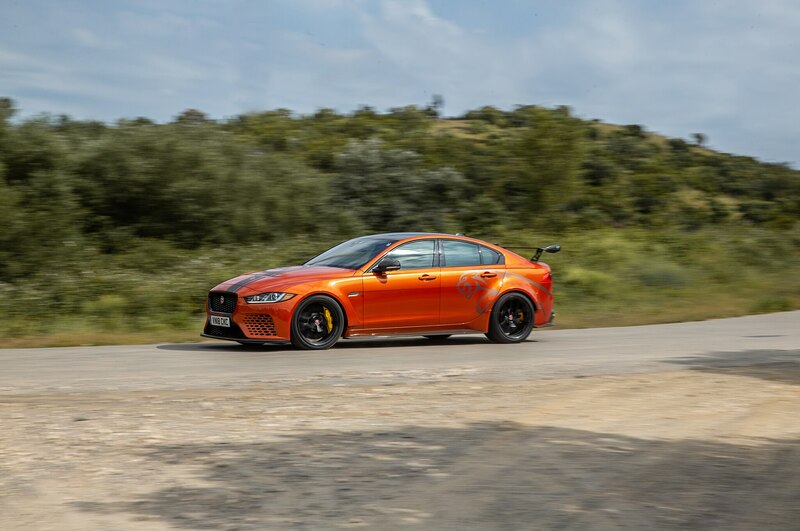 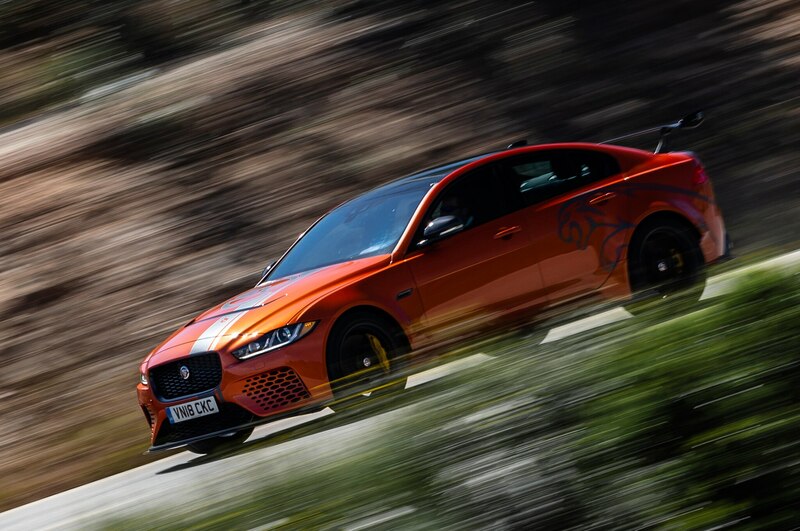 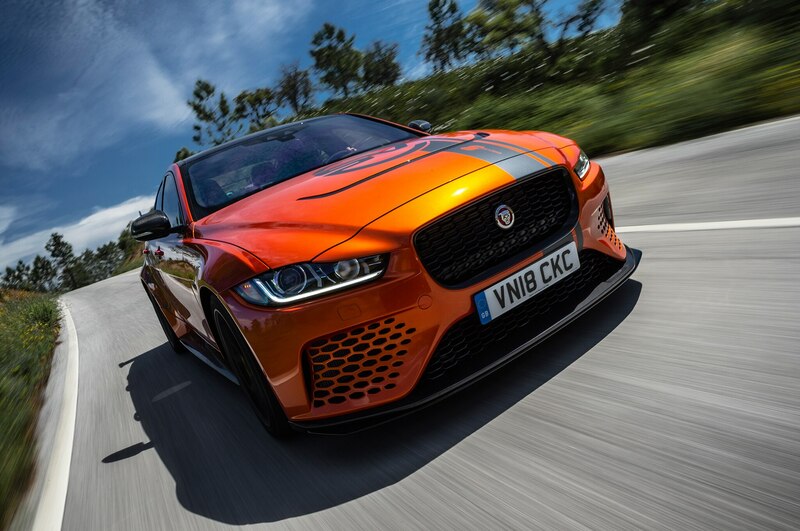 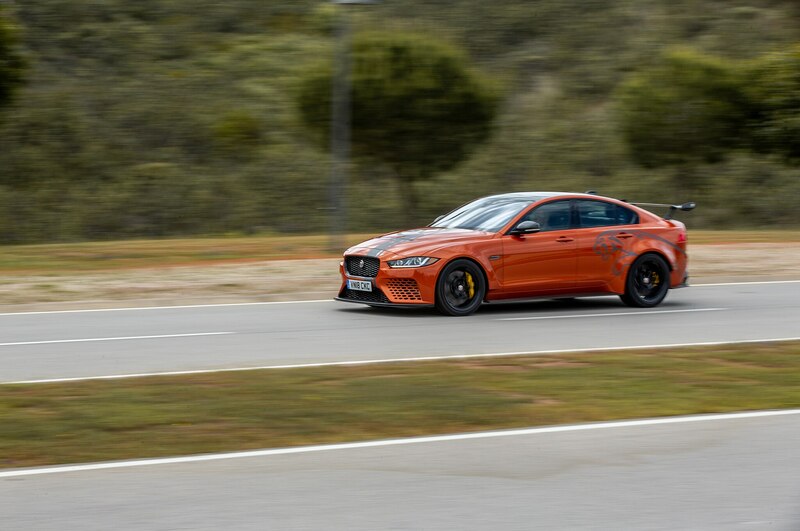 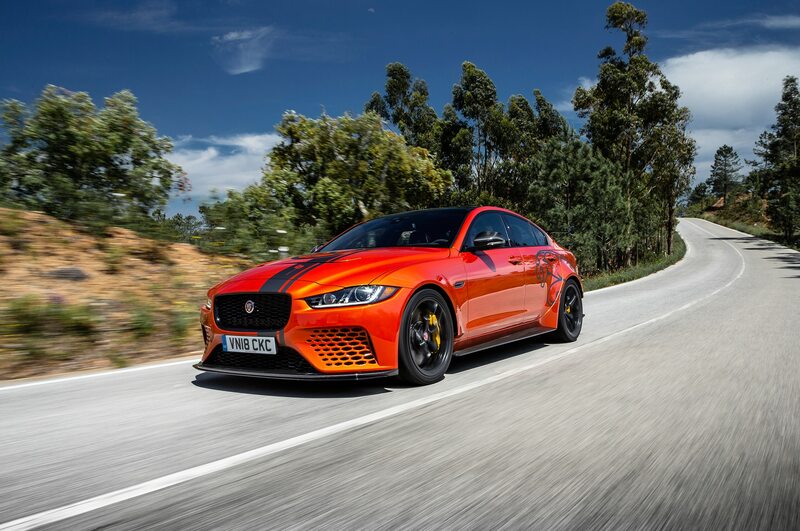 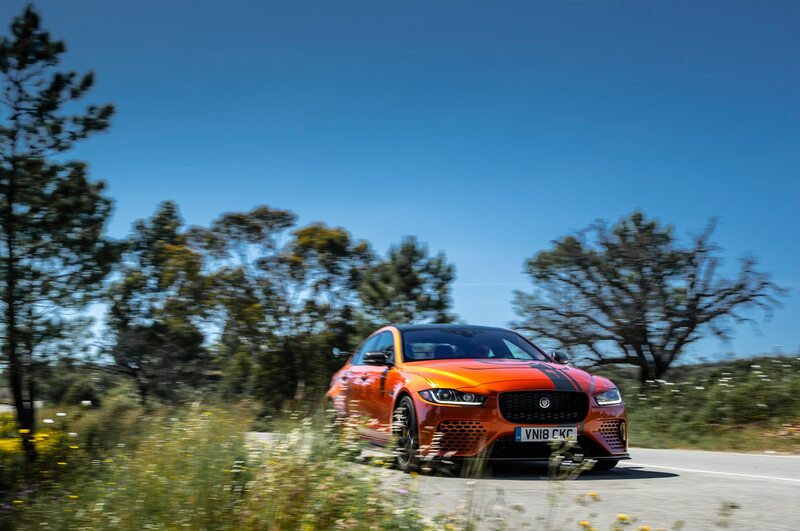 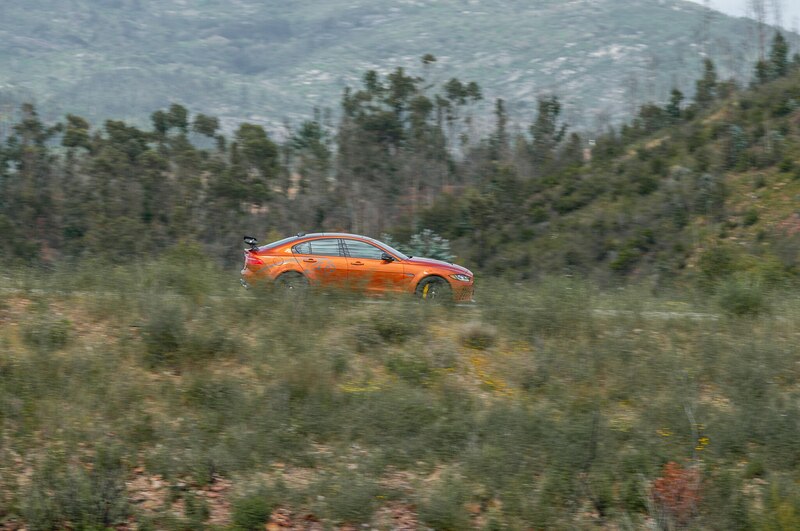 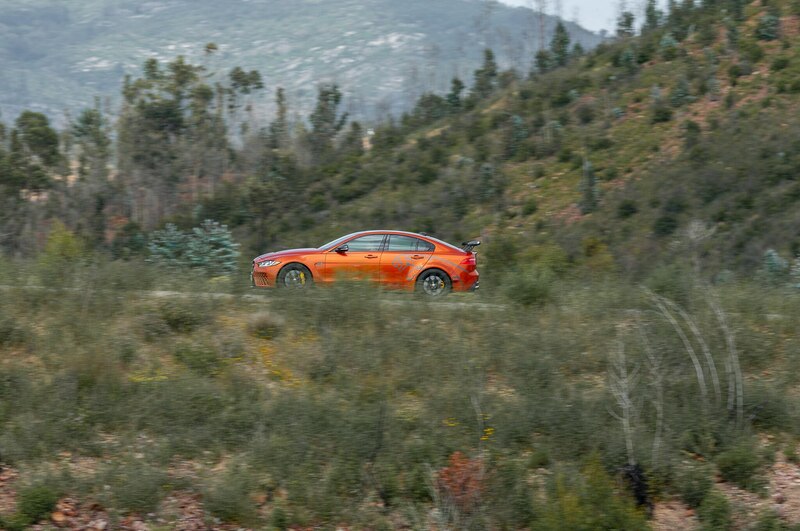 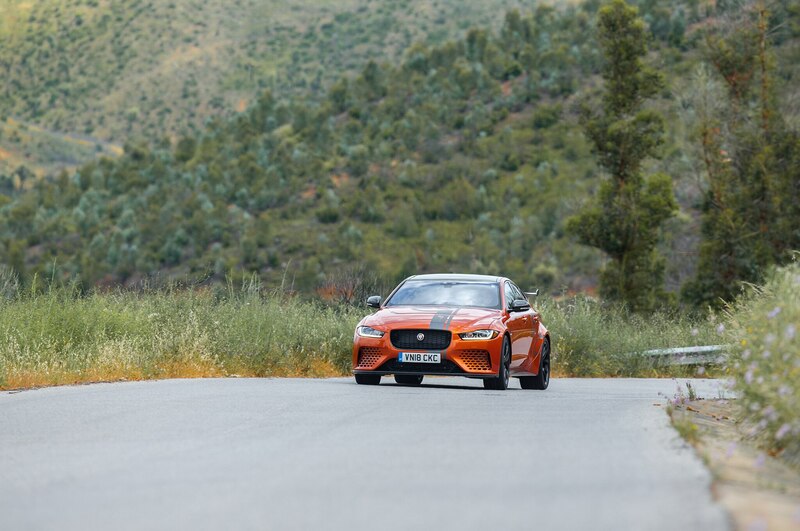 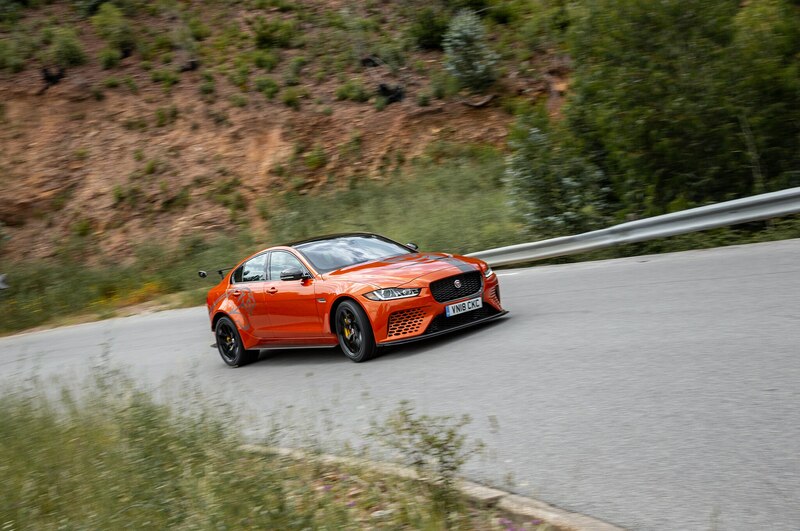 As the photos suggest, the Project 8 is no ordinary Jaguar XE. 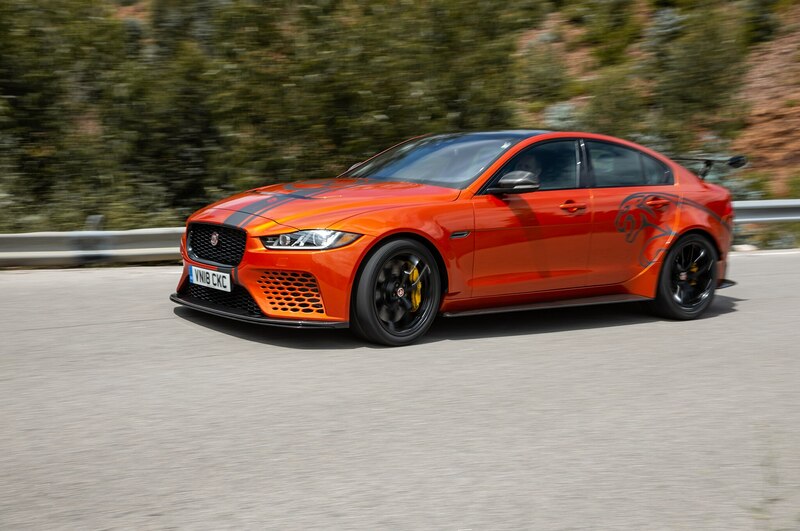 This 300-unit limited edition gets a tuned version of the XJR575’s 5.0-liter supercharged V-8 good for 592 hp and 516 lb-ft of torque. 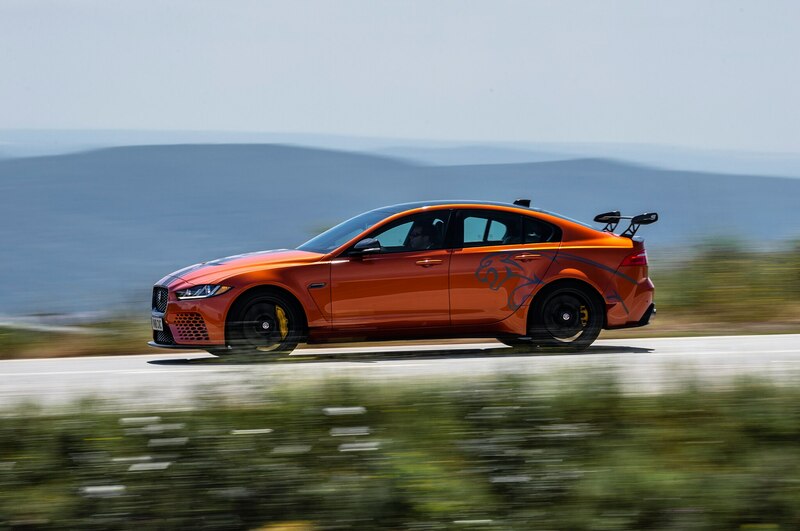 Engineers then added all-wheel drive, aero-optimized carbon-fiber bodywork, that massive wing, bigger brakes, and a fully adjustable suspension. 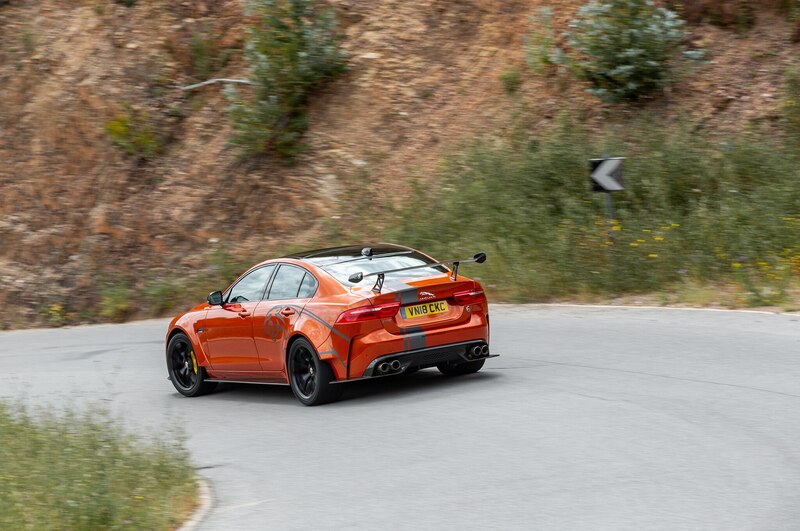 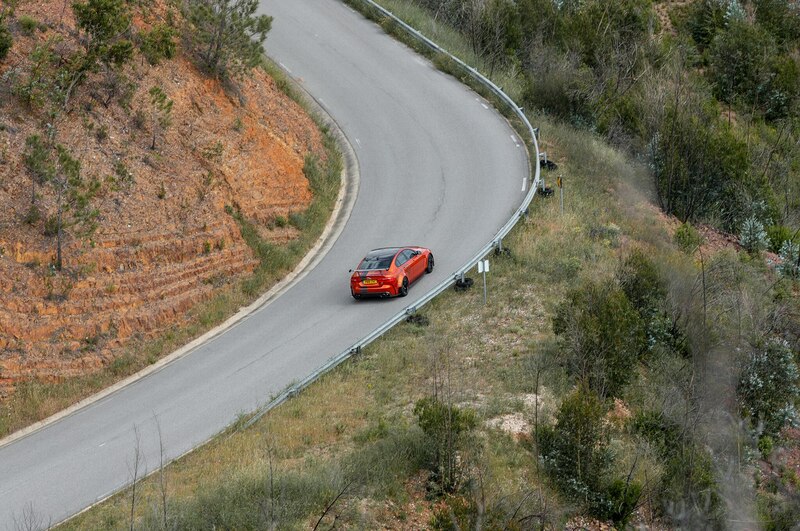 Even better, as we discovered on during our first drive, the Project 8 is a surprisingly comfortable road car, too. 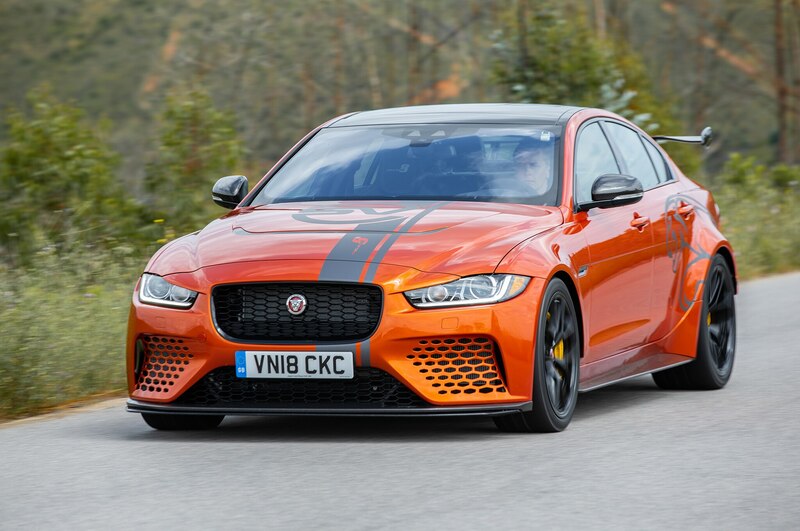 With a price that starts just under $200,000 at current exchange rates (£149,995), the Jaguar XE SV Project 8 certainly isn’t cheap. 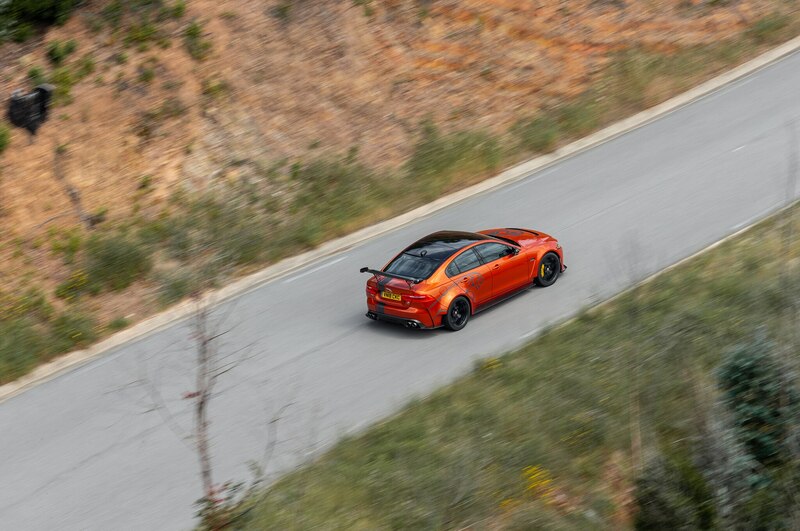 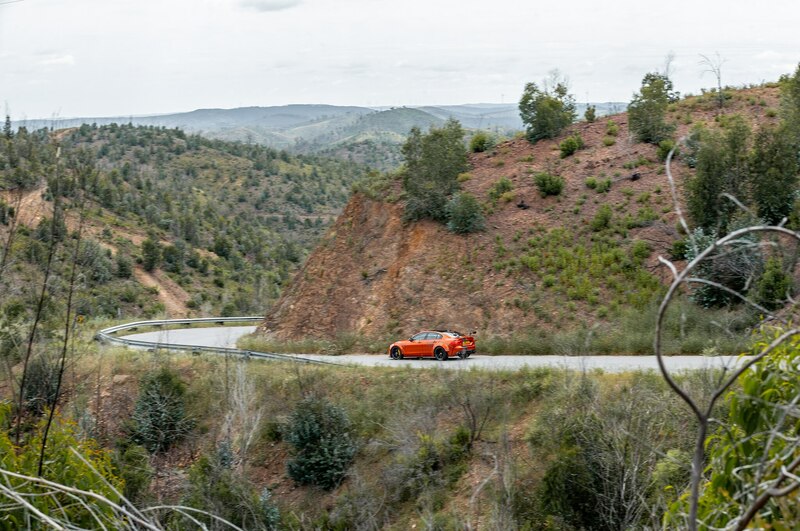 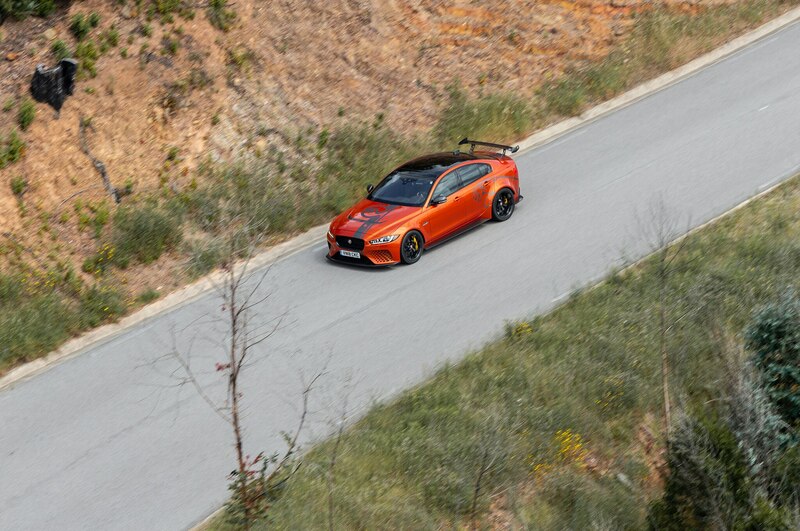 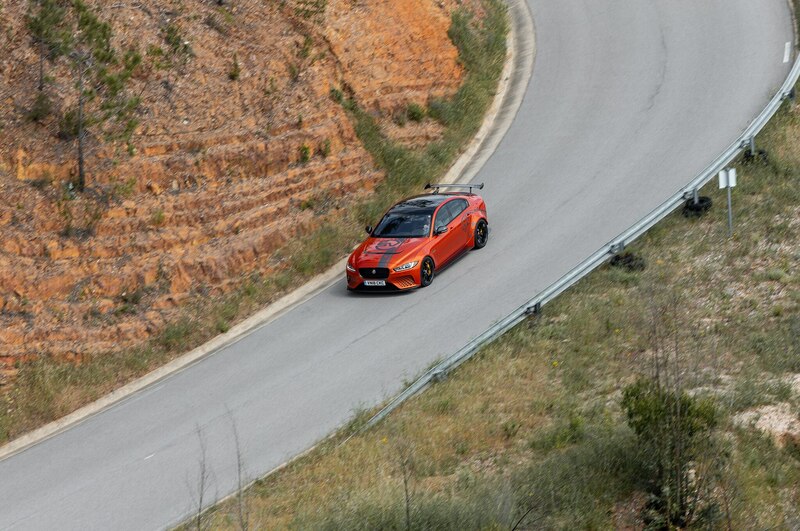 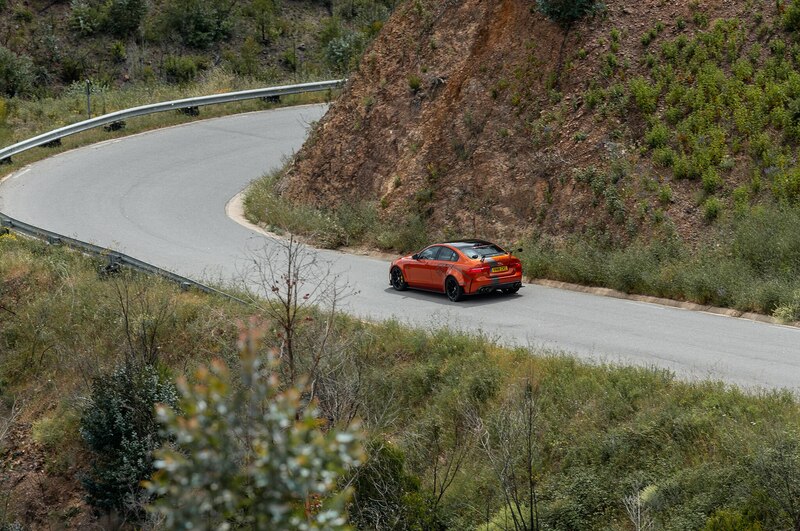 But as Randy just proved, if you want the quickest street-legal sedan money can buy, the Project 8 is the car to buy.